> SailPoint Technologies > Are You Using the Best Weapon Against Cyberattacks? In the age of rapid digital transformation, identity governance is seen as one of the most effective ways to enhance IT security and compliance. Yet many organizations are struggling to find the best IGA strategy. 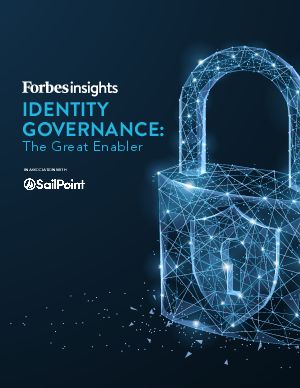 Forbes Insights and SailPoint surveyed 200 senior technology executives to find out how leading organizations benefit from successfully governing the digital identities of their employees.